Everything is online: By 2020 some 50 billion devices will be connected – resulting in countless new applications, business ideas and opportunities. At Learning Community IT Professionals Connected, members will discuss the areas Internet of Things and Communication & Networks. Consulting firm Gartner estimates that 20 billion devices will be connected to the Internet by the year 2020. Cisco’s forecast is twice as high. Wherever the actual figures land, networked devices are appearing everywhere, transforming business models and our daily lives. Welcome to the IoT era. 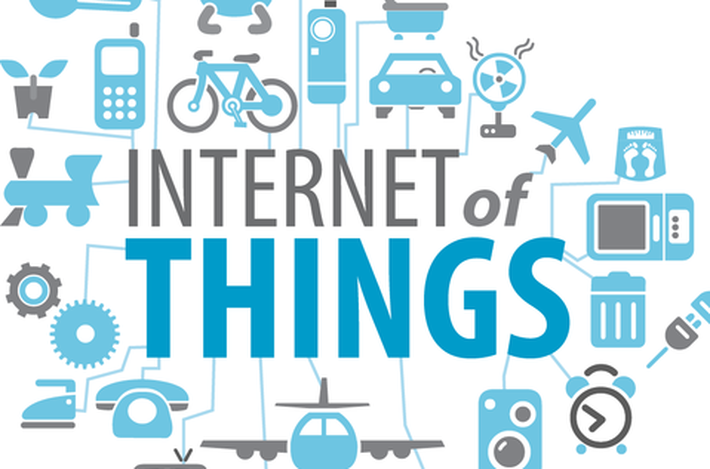 The Internet of Things, or IoT, describes a trend in which ever more and ever more types of devices are connected to the Internet as standard. Manufacturing companies, for example, can completely redefine their value chains with IoT technologies, and offer services that were previously unimaginable. Individuals can make their daily lives simpler and more comfortable. Smart watches, for example, monitor their wearers’ pulse while they exercise and provide individualized feedback to optimize their workout and improve their health. And while they spend time at the gym, sensors in their washing machine and refrigerator are collecting these appliances’ performance data – which they send to the manufacturer to help them tailor their service. Appliances are not the only household devices connected to the IoT. Now there are thermostats that adapt to residents’ preferences – and lamps that turn off automatically when you leave the room. These and similar devices are contributing to an entirely new vision: the rise of the personalized, extremely efficient smart home of the future. The Internet of Things will be changing much more than just our apartments and houses. It is also driving other trends such as networked cars and infrastructures. These could form the basis of the smart city of tomorrow. The hope is for a safer, more ecologically sustainable city environment, where traffic flows effortlessly and accidents occur much less frequently. Aside from its obvious advantages, discussions of the IoT invariably focus on security concerns. More networking means more potential attack sites for hackers. So one key question is: How secure is the Internet of Things? Until now, actual IoT attacks have been limited to single cases. But digital security experts remain vigilant and are increasingly working together with tech developers to ensure the security of the networked world. The goal is to minimize the risks of the IoT, while fully utilizing its potential. How can this be achieved, and what are the business opportunities to be found in the Internet of Things ?